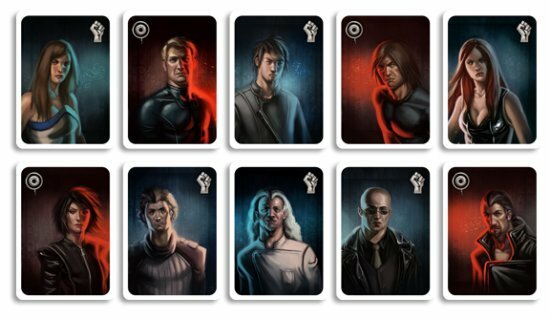 The Resistance is a game where players attempt to deduce one another's identities. The setting of the game is an imagined battle between a resistance group trying to overthrow the malignant government and the government spies infiltrating the resistance group. It is similar in structure to party games such as Mafia and Werewolf, where a small, secret group of informed players attempt to disrupt a larger uninformed group, while the larger group attempts to identify the spies and eliminate them. 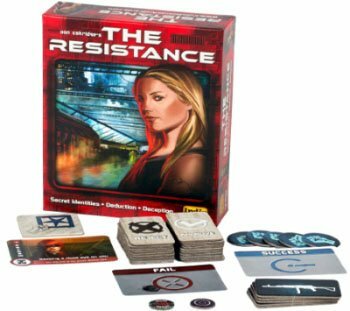 The Resistance uses slightly different mechanics from similar games, and was designed to avoid player elimination and increase available information for player decisions.